Tottenham are reportedly ready to make a lucrative offer to try and land Borussia Monchengladbach midfielder Jonas Hofmann. A report in Bild claims that Spurs are willing to quadruple Hofmann’s current wage in a bid to lure the 26-year-old to north London. The midfielder, whose current contract expires in 2020, has scored six goals and provided a further seven assists in just 15 games this season and has certainly been turning heads in Germany. The pacy star, who has represented Germany at Under-18 and Under-21 level, is being considered as a back-up option to the likes of Christian Eriksen and Dele Alli – although he considered to have the talent to provide strong competition in Spurs’ midfield. Any deal, however, is unlikely to happen until the summer as Monchengladbach are not keen on selling the player midway through the season, while the player himself is settled and not pushing for a move. That news will come as a potential blow to Mauricio Pochettino, who is currently without the injured Moussa Sissoko, while Alli is out until March with the hamstring injury he picked up at Fulham and Mousa Dembele has been packed off to the Chinese Super League. 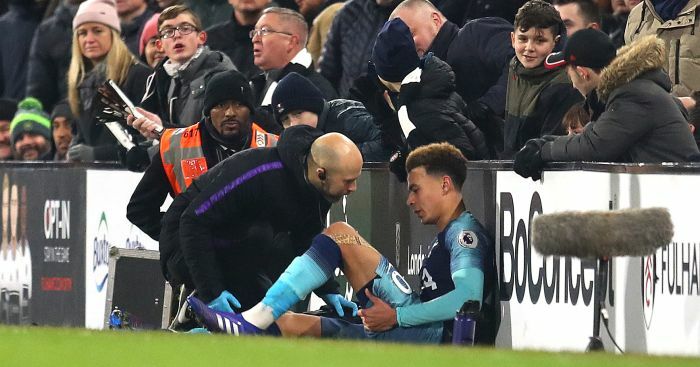 The post Injury-hit Tottenham offer to quadruple wages of Bundesliga midfielder appeared first on teamtalk.com.